Mix all ingredients in a large plastic bowl. 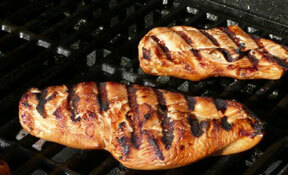 Place chicken pieces in mixture and marinate at least 2 hours, overnight is best. BBQ on grill brushing with extra marinade.